Whenever you go to update your WordPress version or themes or plugins, the first thing you should do is backup your WordPress site. Backing up your website can save you from losing valuable information and content in case anything happens to your site. Since backing up your website is such an important part of maintaining your site, we’ve put together a list of the top three WordPress Backup plugins to help you figure out which one is best for you. The BackWPup -WordPress Backup Plugin has a free and premium version. This plugin lets you backup your entire WordPress installation including your wp-content folder and save it to an outside service such as Dropbox or FTP. Once saved, it is all contained in one .zip file. The single .zip file makes it easy to restore if you ever need to. BackWPup also supports multisite networks. Both the free and premium versions will let you schedule and automate your backups but the premium version (BackWPup Pro) does come with a lot more features and premium support. With over 700,000 installs, Updraft Plus Backup and Restoration is the highest ranking free backup plugin for WordPress. Like most plugins, this one also has a free and premium version (which comes with more features and support). You can choose to perform manual and/or scheduled backups and you can also have separate schedules for backing up your files and your full database. Updraft Plus Backup and Restoration has a single click restore making this plugin simple to use right out of the box. You can also duplicate and migrate sites and if a backup or restore fails, it will automatically retry/resume the specific action. 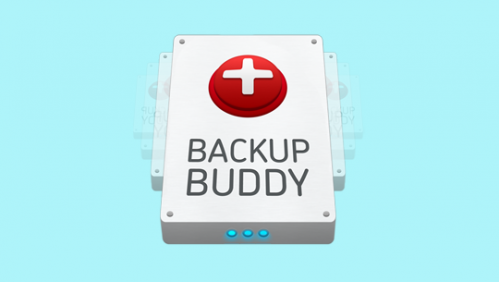 The last plugin in our top three WordPress backup plugins is BackupBuddy. BackupBuddy is a strictly premium plugin which you can purchase from iThemes or if you take a class with us you can purchase the plugin through us. 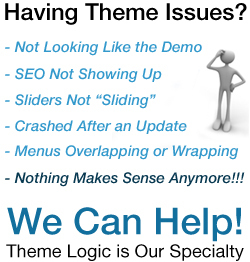 We will help you install it and configure the settings on your WordPress website. BackupBuddy has over half a million active installs and is the number one WordPress backup plugin. With BackupBuddy you can automate all of your backups and run multiple backups including custom ones. When a backup finishes or if it needs your attention, you can choose to receive email notifications so you know right away. This plugin will also do a free malware scan on your site to make sure everything is safe. BackupBuddy ranges from a basic blogging package ($80) to a gold lifetime plan ($297). If you have any questions or if you need help installing any of the top three WordPress backup plugins or other support for WordPress, we have instructors that are ready to help you. Call 512-593-1621 or email rick@wp-learningcenter.com to schedule a consultation today. We also offer our WordPress Security Class that will show you how to protect your site. The BackupBuddy plugin installation and configuration can be added on for an extra fee to any class.